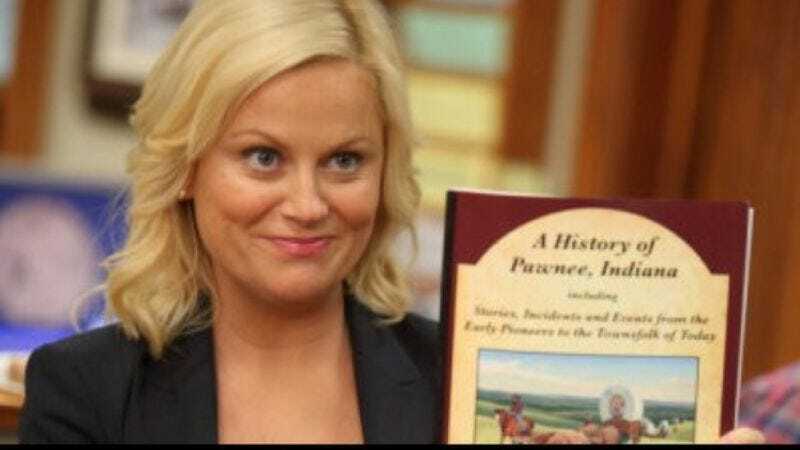 In the grand literary tradition of Tina Fey’s Bossypants, Mindy Kaling’s Is Everyone Hanging Out Without Me?, and Susan Sontag’s Against Interpretation And Guys Who Text Pictures Of Their Dicks, Amy Poehler is writing her very own book—a book that shall eclipse all other books in its bid to be every kind of book. According to the announcement from her soon-to-be-publishers at HarperCollins, Poehler’s work is “an illustrated, nonlinear diary full of humor and honesty and brimming with true stories, fictional anecdotes, and life lessons.” It will contain the whole of Western literature. This as-yet-untitled work will probably trace, in Joycean, stream-of-consciousness fashion and with doodles, Poehler’s rise through the ranks of comedy, from her time as first mate to a salty sea captain, to her stint as an ambulance driver in the first World War, to those hazy days she spent rambling across the Southwest looking for her next fix and the nearest jazz club, to eventually starring on Saturday Night Live. It will have life lessons and stunning aerial photos of the Grand Canyon, fictional anecdotes and instructions on how to build your own crown molding shelves. Also, honesty. And a sweeping romance between a handsome blacksmith and a 17th-century scullery maid. And probably some Parks And Recreation stories. Burn all your other books in preparation for replacing them with this book.